Happy Halloween 2013! This year Catspit Productions is celebrating the spooky Halloween season with yet another screen printing startup kit give away contest. Yup, I told you at the beginning of the year we’d be doing another bench press contest so I figured this time we could do a little something special for All Hallows Eve. The kit will be a Catspit Alley Cat press with screens, chemicals, emulsions, aerosols, squeegee, inks, basic exposure unit and more. I’ll make an official announcement video next week. Here are the details so you can begin to think about participating. Technically we are not allowed to use the functionality of YouTube to determine a winner for any contest held on YouTube. This will be the last contest we hold on YouTube due to complicated legal issues that only a big corporation with money can pay to address. Please leave a comment if you like the video entry. The winner will be handpicked by Jonathan based on originality and comment activity. If Jonathan likes your video and finds it to be creative and original and the viewers like your video in the commenting then you win. The most original and most well received video entry will win the kit. Sorry for any inconveniences. Contestants are required to dress up in a costume of their choice and say one sentence in character to the camera on a video you will then upload to YouTube and post as a video response to the Catspit contest video. The videos will be ripped and re-uploaded to the Catspit channel so that our viewers may comment on them. The in character costumed person who gets the most comments, wins. The contest will begin September 26th and conclude on Halloween October 31st when I will upload the winner video announcement. You may submit costume videos up to the 30th of October if you like but sooner is better in order to win. 1) If you already have won a startup kit from Catspit Productions you are not eligible to win but you may participate if you wish. You must be 18 or older to paricipate. 2) You must upload your video of yourself in a Halloween costume to YouTube and send it to me. The announcement video will be uploaded September 26th. 3) You must speak one sentence in the character of your costume to the camera for the video response. You can say anything you like but please keep it rated PG to R and no foul language please. 4) By participating in this contest you are giving Catspit Productions, LLC permission and/or rights to download your video and re-upload it as a Catspit Productions channel video. This also gives us permission to run Google ads on the videos posted to the Catspit channel. The Catspit intro and outro will be added to your video but the content of the video will remain untouched. Credits and links of your choice will be given in the video description. 5) Catspit Productions reserves the right to exclude any submission we deem inappropriate for the contest. 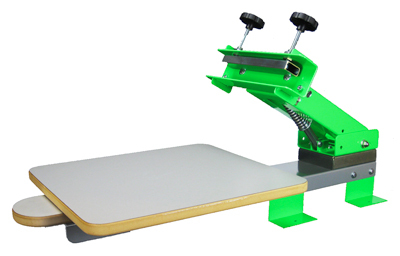 The prize has no cash value and may only be received as the physical screenprinting kit. Catspit Productions accepts no liabilities in relation to this contest in any way, shape or form. This is an exercise of free speech and the prize is considered a gift, not a right. Catspit Productions reserves the right to make changes to the prize kit content at any time without notice to contestants. This is a contest given without warranties or liabilities to you in any possible and/or conceivable way. 6) Catspit Productions reserves the right to change any of the above rules or contest parameters at any time without notice to contestants. 7) This contest is available only to contestants within the continental United Sates. The prize will not be exported in any way. All contestants must be residents of the continental portion of the United States of America. No exceptions. This excludes Hawaii, Alaska, and all US provinces. Thanks to everyone who participates and remember, if you don’t submit a video you can’t win. It could be a small contest with only 3 entries, who knows so go ahead and give it a shot. If someone wins with 2 thumbs up, so be it. You have nothing to lose but a little time. YouTube is not a sponsor of this contest and all contestants release YouTube from all liability related to this contest. Your privacy is important to us. You need only provide a legitimate contact name, phone number and ship to address in the event that you win. No information gathered in order to send you the prize will be used in any other way than to send you a prize. This information will only be shared with personnel directly involved with getting you your prize. Please share this contest with your YouTube and do it yourself friends and family!! This entry was posted in Collaboration, Contest, Do It Your Self, Give Away, Holiday, How To Screen Print Tee Shirts, Screen Printing, Screen Printing Equipment, Screen Printing Videos, Screenprinting Product Review, YouTube and tagged Halloween Halloween monster Frankenstein scary fall pumpkin smashing spooky holiday fright frighten devil demon demons hell science fiction fantasy Ray Harryhausen Mummy Invisible Man Dracula The Blob, screen printing screenprint screenprinting silkscreen silk heat transfers tee tees shirts t shirt t-shirt how to print garments textile supplies equipment tutorial educational at home learn make your. Bookmark the permalink. 2 Responses to Free Screenprinting Startup Kit Giveaway Halloween Costume Contest!